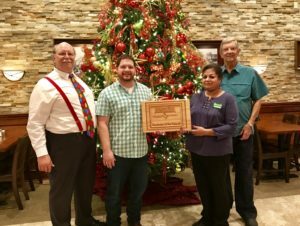 Meadows Place Economic Development Corporation Business of the Month for December is… Kelley’s Country Cookin’. Kelley’s began the same year Meadows Place incorporated – 1983 and has been serving up great food for a reasonable price ever since. The Meadows Place location is their flagship. The Kelley family is proud to be in Meadows Place and we are proud to have them here. Thank You Kelley’s Country Cookin’.